An increase in crop production is essential to meet the future food demand. Agricultural systems should be sustained by maintaining soil fertility and soil structure by effective use of fertilizers with increased profitability and reduced harm to the environment. Other strategies involve application of ecological concepts and principles to the design, development, and management of sustainable agricultural systems. 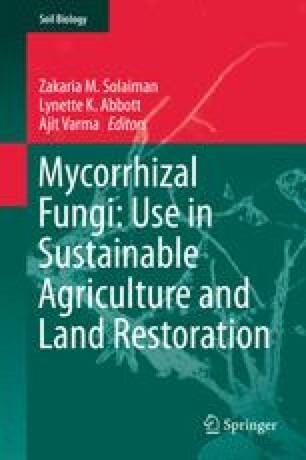 Microbial inoculants, including arbuscular mycorrhizal (AM) fungi and plant growth-promoting rhizobacteria, for increasing the efficient use of fertilizers are potential components of such management. AM fungal inoculants have been marketed as an important biological component to the commercial horticulture and agriculture. This review considers biofertilizers within the framework of fertilizer demand and use of AM fungal inocula. This manuscript was prepared in part with support from project AUX-PE-PGGI 267/2010 from the Coordination of Improvement of Higher Education Personnel (Brazil).